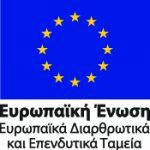 Extensions – ΑΤΤΙΚΟ ΜΕΤΡΟ Α.Ε. 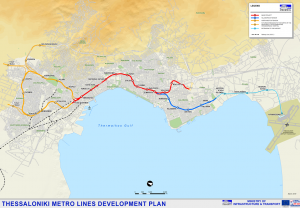 Beyond the Base Line extending from the New Railway Station to Nea Elvetia (9.6km long), which is under construction, the General Planning of Thessaloniki METRO provides for a series of extensions. The initial Phase of the Project is completed with the addition to the base line of the extension towards Kalamaria up to Mikra Station, whose works are in full swing. The 1st Phase of the Extensions includes the extension towards the northern suburbs of the city of Thessaloniki along Langada Street, which has already been designed at an advanced concept level, as well as the extension of the Project towards Eyosmos – Kordelio, whose conceptual design is in progress. Under this framework, the planning is based on the fact that both extensions – under development – should serve densely populated areas of the city (in line with the population inventory data for years 2001 and 2011); in addition, the subject area should be suitable for the installation of a Metro System that presupposes high-density of buildings, and, thus, high demand for transfers. To this end, ATTIKO METRO S.A. is designing and suggesting a solution combining both individual extensions into a circular line of a unified form. The circular line shall be mainly served by Pylea Depot, for the extension of which to an adjacent area of Pylea all necessary actions have already been undertaken. Documenting the planning for a unified solution, optimum location of stations, etc.